Anti-Bullying Week in England is from the 16th – 20th November 2015. It is coordinated by the Anti-Bullying Alliance. The theme this year is ‘Make a Noise about bullying’. I am an award-winning poet, Sable Litmag Poet-in-Residence 2014-15 and a qualified holistic Coach. For over twenty years, I have been committed to raising the self esteem and confidence of girls and young women through coaching , literacy, creativity and digital media. 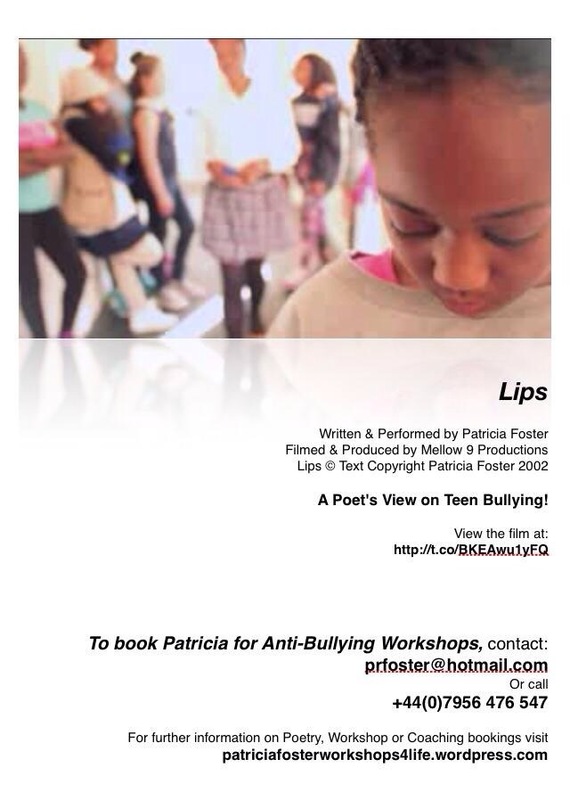 I currently use my poetry film ‘Lips‘ in powerful coaching sessions and workshops to help combat the epidemic that is bullying in our society. We also explore ideas of identity.